Hey! You Got Peanut Butter in my Chocolate (Chips). Hopefully, you're old enough to remember that commercial. Remember the person walking down the street eating peanut butter from a jar? I mean, Nutella I get, but peanut butter? Anyway...the commercial is still burned in my brain. What do they taste like? Tiny peanut butter cups. In other words, they're dangerous. 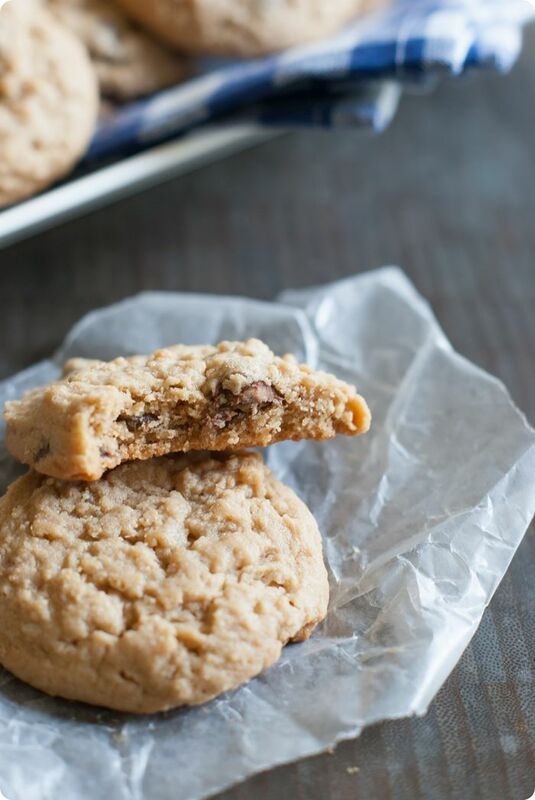 Baked into soft, puffy peanut butter cookies, they are irresistible. I'm thinking you need to go pick up a bag right now. Yes, you in your yoga pants. Go. You, in your pjs. Well, change out of your pjs, then go. In a medium bowl, whisk together the flours, baking soda, salt. Set aside. In a bowl of an electric mixer, beat the butter, both sugars, and corn syrup for a few minutes until light and fluffy. Add in the eggs and vanilla; mix until well combined. Beat in the peanut butter. Add the flour mixture and stir until just combined. Stir in the chocolate chips. 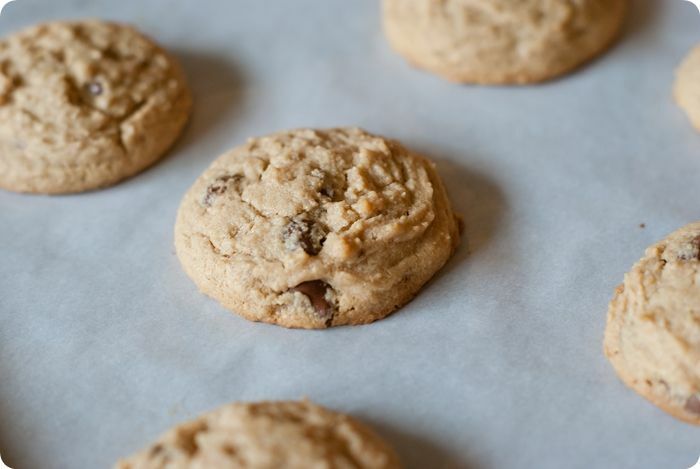 Use a 2-tablespoon cookie scoop to dollop the dough onto parchment-lined baking sheets. Bake for 15-17 minutes, or until the cookies are done. Remove to wire cooling racks to cool completely. What are you waiting for? Are you heading to the grocery store to get those chips?!? Yum! Sounds delicious. I love all the special flavored chocolate chips that start coming out this time of year! Yeah! There was this girl I went to camp with who used to eat PB straight out of a jar with a big spoon. It was really odd. That being said, I do love PB and these look great. Bookmarking them to try soon! These peanut butter filled chips sound dangerous!! 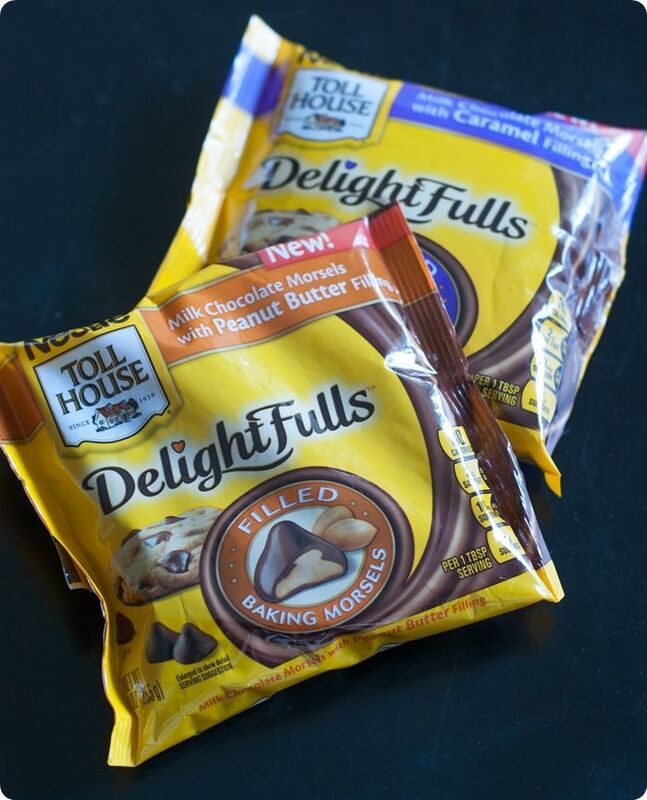 And the caramel well that's just too much good stuff in one bag :) Thanks for sharing - I love peanut butter chocolate! Peanut butter filled chips!?!? I want those!!!! I think I'm in love -- such perfection, I don't think there's a combo I love more than chocolate and peanut butter ... I need to find these chips!! I like that you used whole wheat pastry flour in these cookies. Means I can make and eat and entire batch without feeling guilty :) They look delicious! My favorite combo, can't wait to try! Whaaaaat? What sorcery is this?! How ever do they get it inside? lol These look soooo gooodddddd. Ahhhh! I have a bag of these and the caramel ones now...these cookies look perfect to make!! 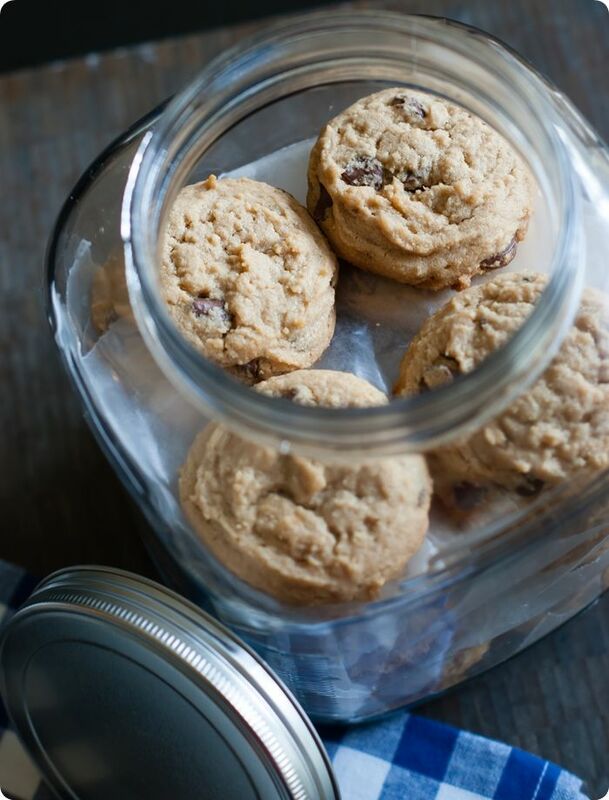 Peanut butter filled chocolate chips...yes please! Hi! These look GREAT! Don't have the whole wheat pastry flour...Could you use just all purpose flour? 2 1/4 cups?